The weekend is here, our bathroom is being gutted (I'm talking down to the studs, y'all!) and while I'm not thrilled to be living in a construction zone through September, I'm going to be SO happy to have this bathroom redone! 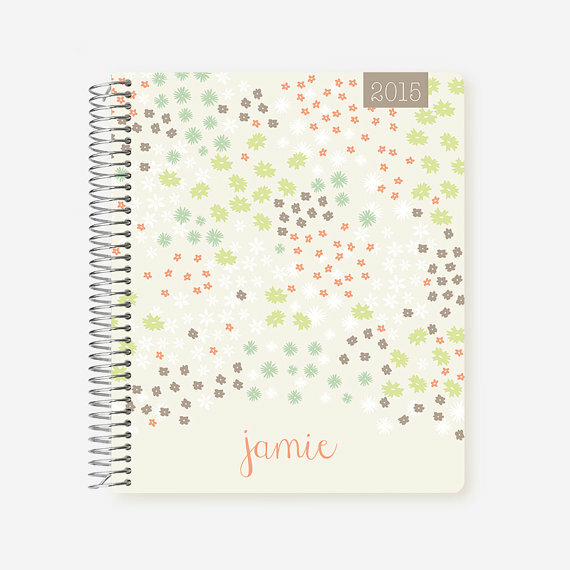 1) I ordered my 2016 planner! Nerd alert? Yup. But I have to organize and manage all kinds of schedules for everyone in the family and LOVE paper planners. Phones just don't cut it. Kristen talked about Plum Paper Designs last week and the customization options with their planners was on point! Also on point? The price! Got mine for under $40. Boom. I picked out this design, but obvi mine will say Paige. Yay for bigger and better planners for 2016! 2) I was informed that Henry will take a test next week to determine a discharge date from physical therapy! You know from my posts about his torticollis that we've been going to PT every week for months upon months now. This week he impressed his therapist so much that she's ready to begin the discharge process. I. Cannot. Wait. To. Be. Done. And never drive to Plano again! Sorry, Plano. (FYI, it's a suburb about 40 mins north of Dallas). 3) Henry started kissing my belly and saying, "baby!" And it made my heart explode. He is such a kind, thoughtful toddler (can that even be said about toddlers?!) and I cannot wait to watch his sweet soul become a big brother! "I'm going to be a big brother soon!" 4) I enrolled to be an independent distributor of Young Living essential oils! 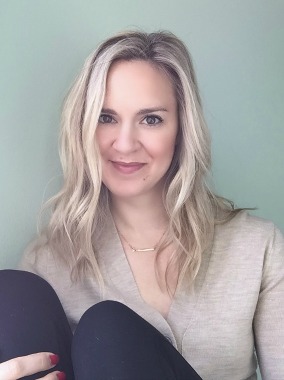 I love everything about them and can't wait to learn more about how I can get rid of harmful chemicals in my house (especially with two kids under two and two dogs!) I'm excited to share what I learn on this space too, for all my holistic health minded folks. More to come in the near future! 5) Chewy.com sent our doggies these cookie treats! They look like delicious chocolate chip cookies, but are in fact made of beef jerky. Go figure right? The boys love them. My pregnant self can barely tolerate the way they smell... But what else is new? Big boy Baxter and wee dog Otis Beaufort love these things! I hope everyone has a fantastic weekend! Linking up with Amanda, Karli, Liz and H54F! Woohoo for a new bathroom! That's so exciting. I'm excited Henry is going to be done with PT soon. I know that will be such a relief for you. Yay for a new bathroom! I can't wait to see how it turns out. And double yay for finishing PT! That's so exciting. Can't way to see what you've done with the bathroom! Yay for a new bathroom!! Henry is the best big brother! So cute!! I totally need to get a new planner for 2016. I'm so picky about them, that I haven't found one i like yet. ahhh new bathroom, so exciting! can't wait to see the end product! and hooooraaayy for being done with PT soon. that's awesome. I have been meaning to research essential oils, i will just wait and learn all about it from you lol. Love your comment bubbles ;-) can't wait to see your bathroom reveal! Bathrooms and kitchens are my two favorite parts of any house! Yes! I will buy all your essential oils so I can continue to have Mark turn his nose up every morning "you have your old lady oils on this morning don't you???" Yes sir I do. Oh I looooove my Plum Planner...and your design is adorable! I definitely need to place my 2016 order soon! I have also ordered my 2016 planner because I find the ones I usually like always end up being out of stock and with school being around the corner it helps to be organised and have a planner ready. So adorable Henry kissing your belly aw! And such an achievement being discharged from PT! I love reviewing goodies from Chewy. They have some of the best treats! Aww! Sweet little Henry. Imagine how much your heart is going to explode when he's kissing his baby brother and not your belly! Congrats on getting your bathroom done. That'll be nice to get out of the way before the baby comes. I would like to request a post about how your pups reacted to your bringing home Henry. Also, how does Henry react to them? It's interesting to see how animals react to a new family member. Love your planner!! I haven't decided on wtf to get yet... I love me planners, stationary, Pena, you name it. LOVE that Henry is kissing the belly <3 that is the sweetest thing ever!! I'm glad Henry is better... I guess since I haven't been a longtime reader, I didn't know he had that. Muscle spasms must be so confusing to them :( never mind, painful. i ordered a plum planner as well but when it came, it was a little messed up so i contacted them and they're sending me a new one.....should be arriving next week. i'm just so glad their customer service is on point! I don't even live in Dallas anymore and can relate to not having to drive to Plano anymore! Three cheers for that! So glad PT is coming to a close! And that H is kissing your belly. So adorable! I can't wait to see the bathroom remodel. It's going to be gorg!